Motion gaming is all the rage thanks to the Nintendo Wii, and Microsoft put its own spin on it with the Kinect for Xbox 360. We have information on everything you need to know about Kinect here in our Kinect Buyer's Guide. 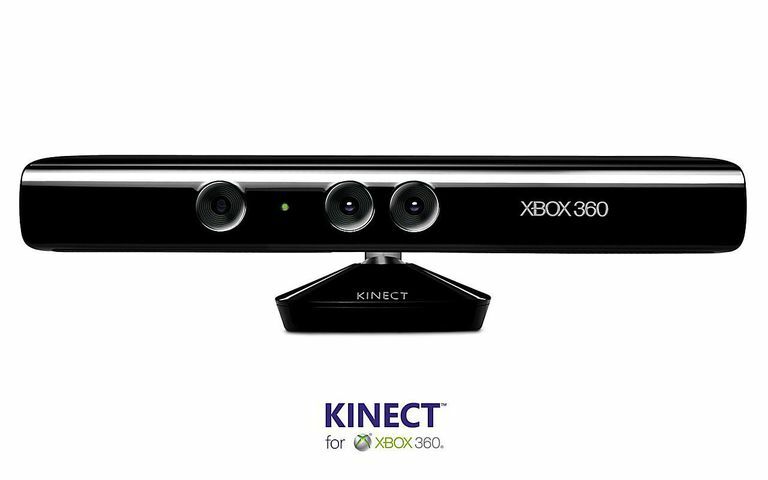 Kinect is a motion detecting camera that you can use with the Xbox 360. It uses special technology to track your body movements and translate those movements into games. Now you can play games without even holding a controller in your hand. Kinect also has voice recognition as well, so you can use voice commands on the Xbox 360 dashboard as well as in games. Kinect debuted at the E3 2009 show and was code-named Project Natal at the time. A year later, at E3 2010, it was officially named "Kinect". It was released in North America on November 4, 2010, and around the rest of the world in the weeks and months after. An updated version of Kinect was also released with the Xbox One console, though it didn't see the same success as the 360 version and is all but forgotten already. What Hardware Do I Need To Use Kinect? Kinect is an add-on to the Xbox 360 system currently on the market. The Xbox 360 S system, released in Summer of 2010, has a built-in port to supply power to Kinect without any additional cords or connections. Older Xbox 360 models (the ones with detachable hard drives on top), require Kinect to be plugged into A/C power and will connect to the Xbox 360 through a USB port. All of the necessary cables to connect to an older Xbox 360 system are included with Kinect, so no additional hardware will be required. Kinect works best when you stand at a range of 6-8 feet away from the sensor. If you are closer than that, the games do not function nearly as well. This presents a bit of a problem in that not everyone has that space available, and it isn't really possible to play in a smaller space. If you don't have enough space, we have to recommend not getting Kinect. It just won't work right. Not really. Third-party companies will likely try to make Kinect accessories like tennis rackets or bowling balls or other stuff (kind of like the junk they sell for the Nintendo Wii), but you really don't need any of it. The only Kinect accessories we recommend are the mounting options such as wall mounts, floor stands, or TV mounts. These let you securely set up your Kinect sensor in an optimal position, and will potentially help you maximize space so Kinect will actually work correctly. We DO NOT recommend accessories like the Nyko Zoom or other third-party lenses that are supposed to make Kinect function better. They don't work. What Games Can I Play With Kinect? Sports, racing, minigame collection, superhero simulators, and more games are all currently available for Kinect. What Does Kinect's Future Look Like? After 2012, Kinect on Xbox 360 pretty much died out. That doesn't mean you shouldn't check it out if you're interested, however. There are lots of titles already on the market that you can get for relatively cheap, that are worth checking out. What Else Can Kinect Do Besides Play Games? Kinect can do more than play games. You can use motion controls, and voice controls, to use the Xbox 360 dashboard. You just speak the word 'Xbox' then 'Kinect,' then any available voice commands will pop up on screen. You just say what you want to do, and your Xbox 360 does it. Very cool. Kinect is also a camera at heart, which means you can video chat with your friends on Xbox Live with it. It is smart, too, and can actually automatically adjust to keep you in the frame if you move around.